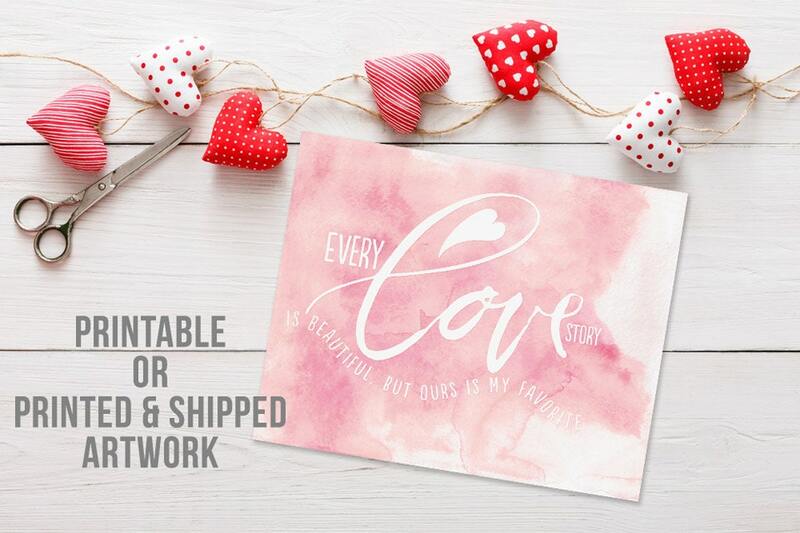 THIS IS A DIGITAL PRINTABLE OR PRINTED & SHIPPED ITEM AND DUE TO THE UNIQUE QUALITIES OF PERSONALIZED ITEMS, NO REFUNDS OR CANCELLATIONS CAN BE GRANTED. 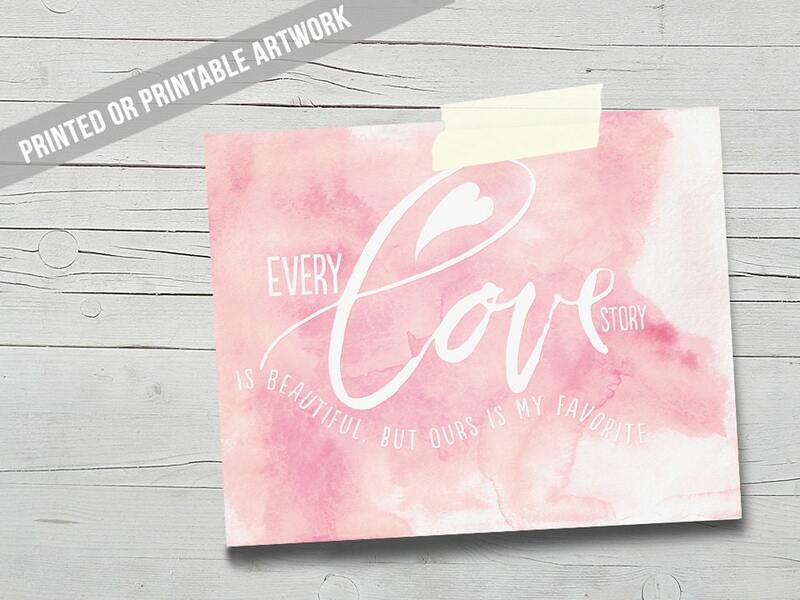 Every Love Story is Beautiful - But Ours is My Favorite! 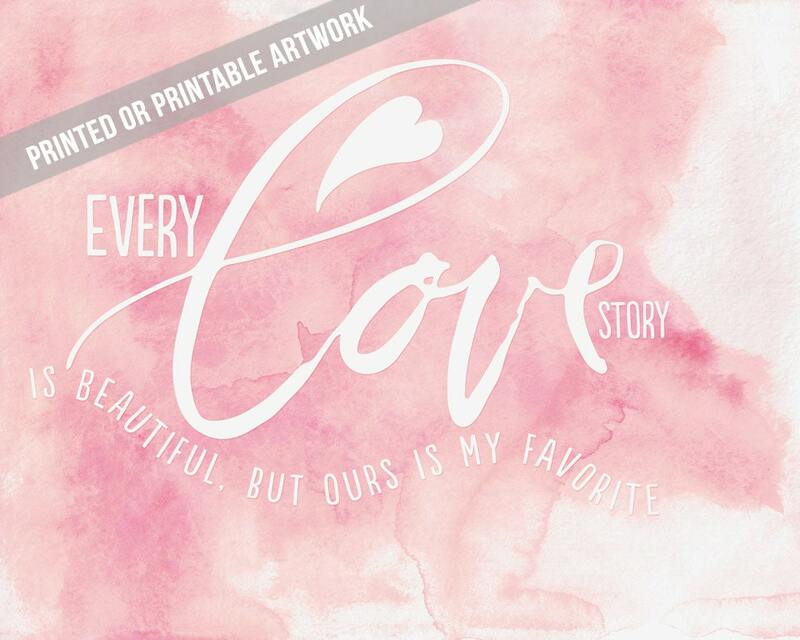 Pretty watercolor digital print for you to print or have me print and ship directly to your home! PLEASE NOTE THAT THE "WATERCOLOR PAPER" BACKGROUND IS PART OF THE DESIGN SO IT WILL APPEAR AS THOUGH THE IMAGE IS ACTUALLY ON A TEXTURED PAPER EVEN WHEN PRINTED ON FLAT WHITE PAPER. 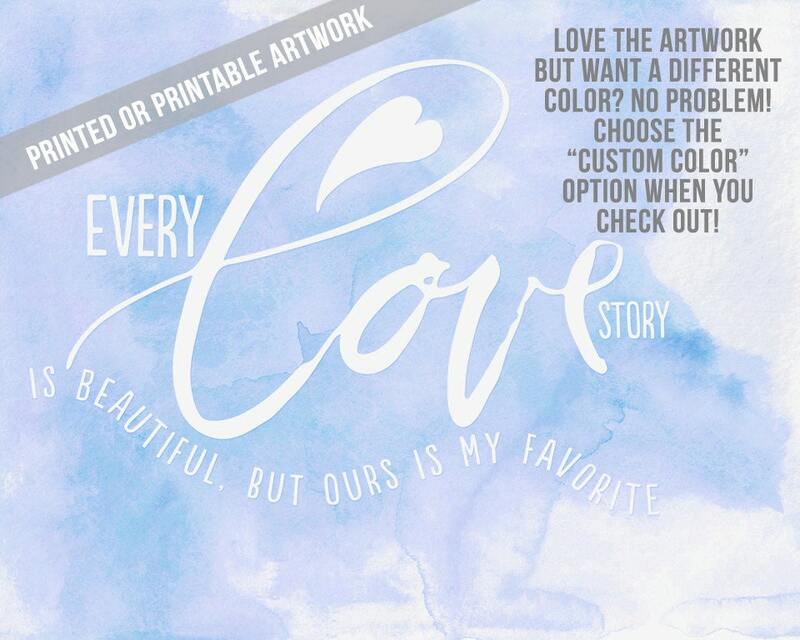 ---> CHOOSE YOUR COLOR OPTION - PINK OR "CUSTOM COLOR"
---> PLACE YOUR CHOSEN ARTWORK INTO YOUR CART ALONG WITH ANY ADD-ONS AND UPGRADES & TELL ME THE COLOR YOU'D LIKE ME TO CREATE YOUR ARTWORK IN IN THE "NOTES TO SELLER" BOX BEFORE YOU CHECK OUT! ---DIGITAL/PRINTABLE Orders processed within 1 business day, see above for any rush requests.